The goal of EasyWater's product range is to keep the water in spas crystal clear and free of bacteria.Easy Water Total Care in itself is not a bacteria killer.Still the EasyWater Total Care water treatment kit is vital in the process of killing bacteria and other micro organisms.EasyWater Total Care ensures that bacteria can't attach themselves to the well known bio film and the ede of your spa.When bacteria can't attach themselves to your spa, meaning they can't reproduce and are not able to survive. 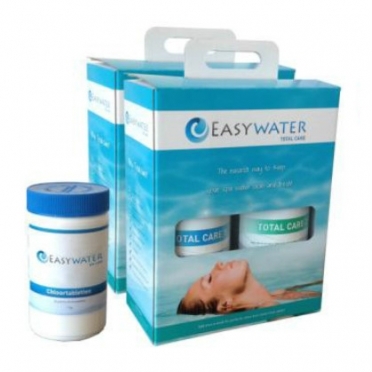 The goal of EasyWater's product range is to keep the water in spas crystal clear and free of bacteria.Easy Water Total Care in itself is not a bacteria killer.Still the EasyWater Total Care water treatment kit with chlorine tablets is vital in the process of killing bacteria and other micro organisms.EasyWater Total Care ensures that bacteria can't attach themselves to the well known bio film and the ede of your spa.When bacteria can't attach themselves to your spa, meaning they can't reproduce and are not able to survive. 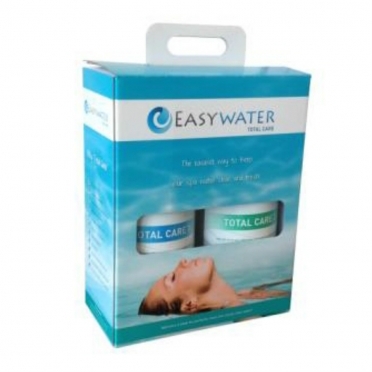 The goal of EasyWater's product range is to keep the water in spas crystal clear and free of bacteria. Easy Water Total Care in itself is not a bacteria killer. 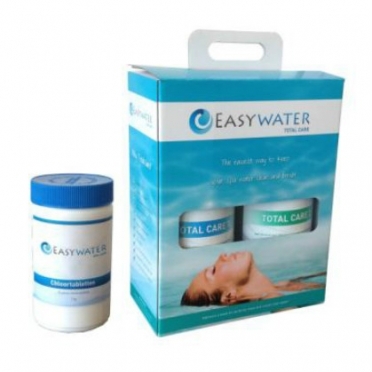 Still the EasyWater Total Care water treatment kit 2 pieces with chlorine tablets is vital in the process of killing bacteria and other micro organisms. EasyWater Total Care ensures that bacteria can't attach themselves to the well known bio film and the ede of your spa. 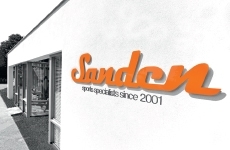 When bacteria can't attach themselves to your spa, meaning they can't reproduce and are not able to survive.